The Union City "Ladies' Lending Library" was started in 1870, and was located in various homes, stores, and offices in the business district. As it grew in size and demand, it was decided to seek a permanent home for the library. Union Township assumed responsibility for its operation and purchased the building at 219 North Broadway (now the north half of the United Methodist Womens' Thrift Shop). The library became a branch of the Branch County Library in 1941. Some of the early librarians were Miss Katy Vosburgh, Dorethea Johnson Bien, Mrs. Clara Townsend, Harriet Carpenter, Pearl Bater Whitney, June French Carpenter, Miss Georgia Bassett, Mrs. Viola Brisbane. During Harriet Carpenter's reign the library moved into the building now occupied by the Hensley's Variety Store. In 1953, Gerald Hensley bought French's Portrait Studio and the Allis Chalmers Implement Store owned by Clark and Rose Knauss. He also reached an agreement with the Union Township Board to trade buildings with the Township Library. The library was to move into the Allis Chalmers Implement Store (the current library). The agreement called for $1,000 to be paid to the township by Hensley, who also agreed to move the contents of the library to its new nextdoor location. This agreement allowed Hensley to combine the Township Library and French's Studio into one large store by removing the wall between the two buildings. This building has since become the United Methodist Womens' Thrift Shop. In 1956, the Union Township Library moved into the W.R.C. Hall on Hammond Street where it remained for two months, while the building was remodeled and the move to the new facility was complete. In 1973, an agreement was reached between the Branch County Library and Union Township whereby the township would also use the facility for the offices of the township clerk and treasurer and for township board meetings and elections. In 1991, by a vote of the people of Branch County, the Branch District Library was formed, of which the Union Township Library became a branch. Pooling resources county-wide enabled all county libraries to computerize, and to increase efficiency and services offered. In July 2006, due primarily to a lack of building space for township elections and needed room for the library, the Union Township Board decided that the township's lease with the Branch District Library needed to be renegotiated. This decision prompted the Friends of the Library to launch a fund-raising campaign for a new library. By the end of July 2006, the first donations were being deposited into the new building fund. 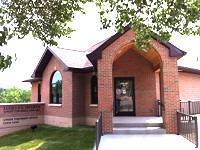 Five years later, in June 2011, the new Lucille E. Dearth Union Township Branch Library opened for business. For a full account of this process, read this special supplement to the Union City Clarion newspaper, posted here with permission.